The leechers will flock to the cheapest one as they always do. Bear in mind this is only a trial with an extremely limited number of customers, so there won't be a whole lot of 'flocking' going on. What we decide to do with fair use, shaping, prices, connection fees etc etc when we launch depends entirely on the outcome of the trial. That is, after all, the purpose of the trial - to find stuff like this out. We're testing a bunch of other stuff too - not just usage/network. It won't give us a perfect picture, I agree, but it's just easier (quicker, cheaper etc), for now, to not bother with implementing shaping, caching etc, when we only have a couple of hundred people on board and we can just buy moar bandwidth, if we need it. Awesome! So I just got my invite and sign up process was super easy. Have signed up for the VDSL Turbo package and will be switching from Vodafone Naked ADSL. Will keep everyone updated but so far the support has been great and everything has been super simple and easy to follow :). 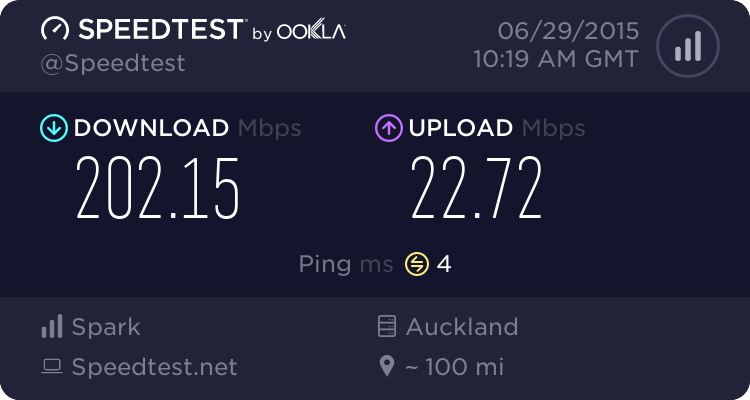 Is there a suggested VDSL modem if selected on the trial? One question I do have for you guys, is who are you using for your backhaul or upstream provider, assuming you don't have your own data center etc. One thing that annoys me about bigpipe is the kid in the ad. Dairusire: One question I do have for you guys, is who are you using for your backhaul or upstream provider, assuming you don't have your own data center etc. Chorus for backhaul for the trial. What we do later is TBD - depends on how big we get I guess. infused: One thing that annoys me about bigpipe is the kid in the ad. One thing that kinds of worries me is that there's no phone support. I don't know if it'll work trying to sort make the connection work via email while you have no internet.